It’s interesting; the things you learn when you talk with people. For example, everyone in Ms. Levy’s kindergarten class knows that Cameron loves the Baltimore Orioles. His favorite player is power-hitting first baseman Chris Davis. Cameron would really like to meet Chris someday. You know – to just sit down and talk about baseball. Nick, on the other hand, is fascinated by gorillas. He knows they are strong and exist mostly on a vegetable diet, though they do occasionally eat meat. Nick read all about gorillas in an encyclopedia, but he’d like to learn more. A trip to Africa may be out of the question, but if he ever goes to a big zoo, Nick would have lots of questions for the zookeeper. Baseball players and zookeepers are both fairly accessible, but if you want to learn about a lot of different subjects, and you have plenty of questions, a great way to get answers is by being a reporter. 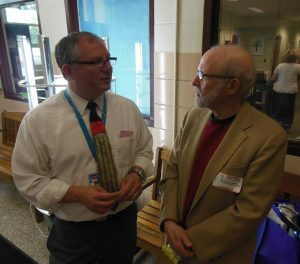 That was one of the lessons this reporter hopefully imparted to a group of absorbing adolescents during last week’s Lutherville Laboratory Writer’s Workshop. 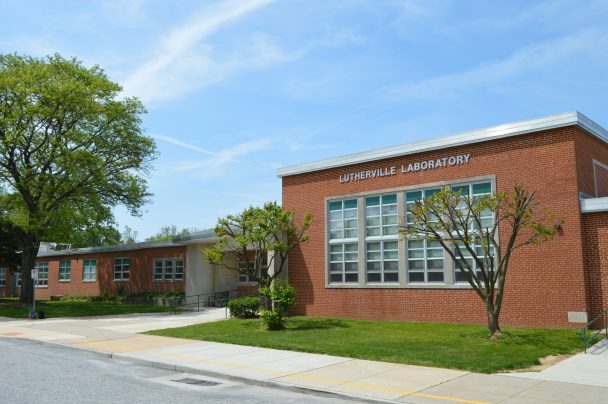 Lutherville Laboratory is a magnet school specializing in Science, Mathematics and Communications. 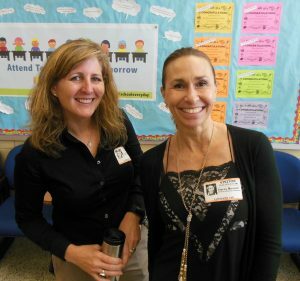 It is also home to an Early Childhood Learning Support Program for three, four and five year olds. 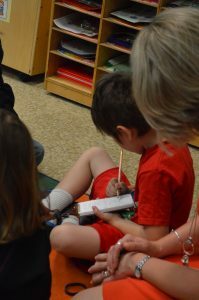 The Writer’s Workshop is geared to provide students in grades K-5 with a chance to pair their burgeoning writing skills with an exposure to real world experiences. The experiences range from public relations correspondence, real estate sales, commercial writing and television and print reporting, to areas as seemingly mundane – but no less important – as insurance underwriting. Eighteen professionals shared their personal stories and used an assortment of media in presenting the myriad ways writing is used in all aspects of our lives. Stacey Lynn Munsell – Senior Account Executive at Baltimore magazine – is the Chairperson for the Writer’s Workshop. This is the second year Munsell has captained the helm. We asked Munsell how hard is it to get a large group of professionals in at 9am on a workday to speak with so many classes? Cindy Carson – President of the Health Division at Enradius – is just one of many returning presenters. “I had second graders today. The kids are great. They can be a little wild, but they are enthusiastic. The insights they have and the questions; they are just very creative. “We looked at online video commercials; YouTube oriented stuff. We looked at a Ninja Turtles movie trailer, a Disney Cruise ad and the Cats anti-smoking campaign. A bunch of 15 and 30 second commercials. Then we talked about the ones which didn’t use any speaking – just a lot of music and imagery – and we looked at ones which used a lot of speaking and talked about how writers have to script these things. Some were funny, some were mysterious. The kids got it and had some great responses. It was pretty neat. Will Carson come back next year? Forman also stressed the Five-W’s (Who, What, When, Where and Why) and was gratified to see a poster of that timeless principle on the classroom wall. Cameron knew that super sentences start with upper case letters. Brayden explained that sentences end with either a period, a question mark or an exclamation point. Landon was particularly interested in sharpening his note-taking style. Zach, Ava, and Caitlin all were anxious to try their hands at a little photo journalism. With the help of Mr. Potato Head, we talked about how important it is to use all of our senses – along with our heads – when covering a story. A quick game of Telephone demonstrated the importance of checking the facts and obtaining reliable sources. Getting down to the business of doing interviews, each student was given a nifty notepad and pencil – courtesy of Chris Rothe and Write Notepads & Co. of Baltimore. The enthusiasm was infectious, and it was delightful to see the kids dig into their assignments and come away with one scoop after another. It was also encouraging to hear the refrain, “Could you spell that, please?” numerous times. Clearly, these young reporters wanted to get their stories right. Not only to present journalism to another class, mind you. I also want to hear about Cameron’s interview with Chris Davis, and Nick’s trip to the zoo. 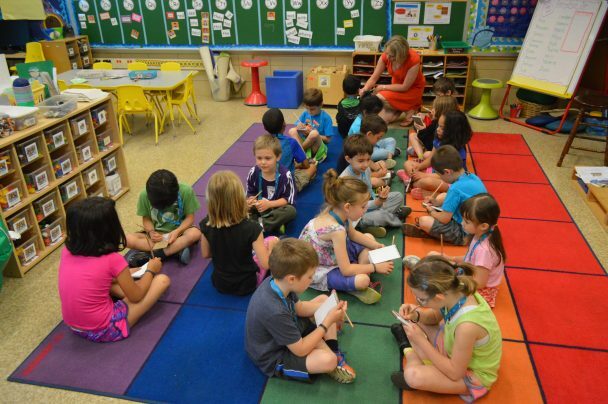 Tony Hayes has captured the essence of this innovative Lutherville Lab program for young writers with his insightful — and alliterative — feature story, which reads (appropriately) more like poetry than hard news. 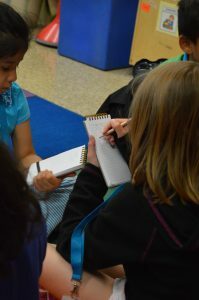 As a charter participant in the program — representing Voice of Baltimore — I have been honored to work with the inquisitive and delightful students of this excellent school in their annual Writers Workshop since its inception more than six years ago.